Oddly enough, this isn't the first desk we've featured that uses an accordion folder for extra storage space. 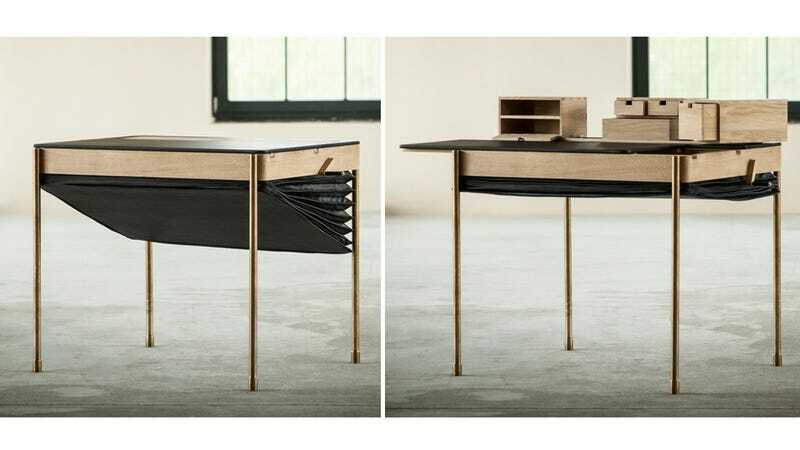 But Magdalena Tekieli's Secret Desk puts it to more of a conspicuous use as a way to hide its pop-up storage. At the turn of a crank a series of wooden drawers and cubbyholes rise up from the back edge of the desk, while at the same time the leather accordion folder underneath retracts. It leaves no mystery as to where those drawers magically disappear to, but when the desk looks this lovely, no one's really asking.